Vinod Khosla, a co-founder of Sun Microsystems, bought Martins Beach in 2008 for some $37 million. 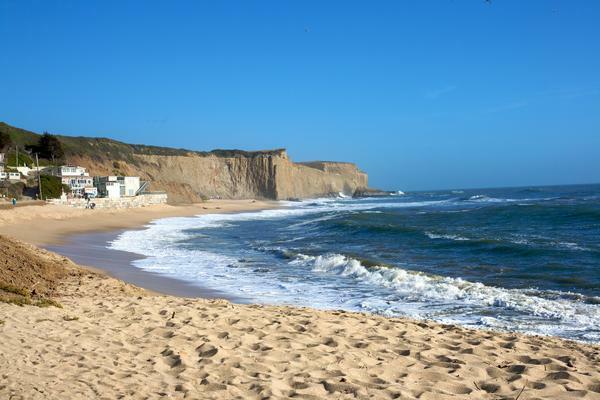 A legal fight over the beach had been brewing since 2008, when Vinod Khosla, a co-founder of Sun Microsystems, bought Martins Beach for some $37 million. Within a year, his management companies had begun locking a gate at the property; it then shut down a parking lot where members of the public had been able to pay a fee to reach the beach. The abrupt change angered surfers and other locals and drew a lawsuit from the Surfrider Foundation, which said Khosla shouldn't be allowed to privatize a beach that people had used regularly for decades. A California court ruled against Khosla in 2014; in August 2017, a California appeals court backed that decision, ordering Khosla — a venture capitalist who has invested in solar power, biofuels and clean energy — to reopen the beach. "Today's decision is a significant win for beach access rights across the nation," said attorney Eric Buescher, part of the legal team representing Surfrider Foundation. In a statement released by the group, he added, "By declining to hear the case, the U.S. Supreme Court has rejected the owner's attempt to purchase a public resource." To prepare for a potential Supreme Court showdown, Khosla had hired well-known attorney Paul Clement, a veteran of dozens of cases at the high court, including the challenge to the Obama health care overhaul. But the justices declined to take the case on Monday, ending a lengthy process that included the initial appeal, a response by Surfrider, a counterresponse by Khosla's lawyers and numerous briefs filed by interested parties. Those exchanges had fed speculation that the Supreme Court would take the case. But the two sides also disagreed on whether the case was "ripe" for the Supreme Court's review at all. In its filing, Surfrider said the case wasn't ripe, because "the property owner has not applied for a permit to gain the relief they seek." In reply, Khosla's legal team said their case revolved around private property rights, writing, "There is simply nothing unripe about having the government in your backyard or strangers on your property." With the Supreme Court declining to take the case, the road to the beach must remain open to the public. Khosla still has the option of pursuing a Coastal Development Permit to change the status of the area along the beach.